The 2019 Overwatch League Stage One Play-offs boiled down to two teams who didn’t lose a single match on their way to the final. The first finalists were Vancouver Titans, who claimed the top seeding off the back of a perfect 7-0-0 regular season and a better map differential than the other undefeated squad, New York Excelsior. Vancouver first took down Boston Uprising 3-0 before surprisingly finding themselves up against Seoul Dynasty, who pulled off a 3-1 upset over New York to kick off the play-offs. Vancouver would make quick work of the Dynasty, winning 4-0, to book their place in the final. Awaiting them were the San Francisco Shock, who predictably had a resurgence after only narrowly making it into the play-offs. San Francisco were expected to be leading contenders at the beginning of the year, but many lost hope midway through the stage given a tough schedule. However, the Shock were able to rebound to close out the regular season and turned that momentum into a successful showing in the play-offs. Mirroring the Titans, SF won their initial match 3-0 over Toronto Defiant before sweeping away Philadelphia Fusion 4-0 to set up a highly-anticipated final. Stage One was all about the GOATS meta, where teams essentially ran exclusively triple tank and support set-ups which makes for an incredibly-high level of play with every single moment crucial. Both finalists had some of the best players in such compositions, with the Titans’ Bumper and the Shock’s super going back and forth in every single match-up. The final turned out to be an incredible watch with a majority of the matches going down to the wire and the best-of-seven series going the distance. One of the clear battles that emerged was the Zarya duel between Vancouver’s SeoMinSoo and San Francisco’s sinatraa, with the latter well known for being incredibly aggressive and risky with the way he goes about his play. Each map was back and forth, with both teams punching and counter-punching constantly but, in the end, after back-to-back swift pushes on the offensive side of Rialto, Vancouver came away with the 4-3 series victory and the Stage One triumph. However, work does not stop there for Vancouver Titans, with Stage Two being a completely different ball game given the changes to the game that have since come out. Stage One was played entirely on the same patch but that GOATS strength has now been diluted by developers Blizzard, with several DPS heroes returning to the fray. 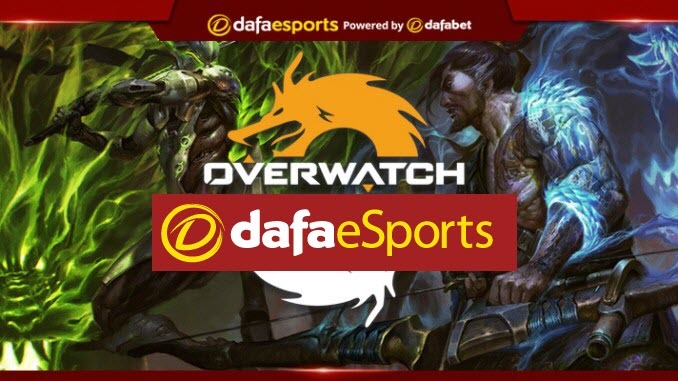 It is yet to be seen whether Vancouver will be able to adapt to the new patch but they certainly have caught the attention of the entire league – not to mention the bookmakers, with Dafabet having installed them as 3.290 favourites for Stage Two. As for San Francisco, many expect them to be one of the better adapters to the different patch, given the overall flexibility and consistency they were able to develop towards the end of a stage in which they were mere seconds away from glory. sinatraa having the ability to star as a tank or DPS will certainly be utilised frequently by the Shock in Stage Two, which they are 6.580 to win. Elsewhere, there could be some roster moves, such as Atlanta losing their star player in dafran. These will be worth keeping an eye on before Stage Two begins on April 4. The addition of the new franchises really had an impact on the first stage and it will be interesting to see how those teams adapt further.